Visited here after an earlier pint at the crowded Lamb nearby. This pub was pleasantly populated by a quieter, grown up crowd. Nice pint of Spitfire (4.50), and a restful place for a sip. I agree it is generally a good pub and the quality of the Shep Neame beers is very good. Have always found service to be pretty slow though with a lot of staff standing around not doing a great deal. Seem to struggle when it gets busy. 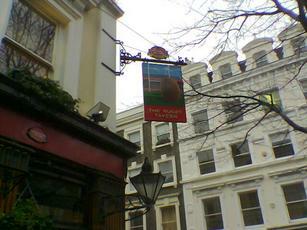 Great little pub near Russell Square. Friendly landlord who gave me a taste of the winter warmer after she put it on. Neame ales in good nick.